Some Uber passengers can now tip their U.S. drivers with a tap on the ride-hailing app. The new tipping option will first be available in Seattle, Houston and Minneapolis. Uber plans to roll out the feature in all U.S. cities by the end of July. Uber won’t take any part of the tips given drivers. Uber had previously decided not to build in a tipping option, even though many drivers requested the feature. In a blog post published in April 2015, the company defended the decision saying, “We felt it would be better for riders and drivers to know for sure what they would pay or earn on each trip , without the uncertainty of tipping.” The tipping option has long available in the app of Uber’s rival Lyft. Uber is also giving drivers opportunities to make more money in other ways. Uber also is allowing more drivers to designate the routes that they want to travel to keep them closer to a preferred destination. Rachel Holt, regional general manager for Uber in the U.S. and Canada, said the company talked to thousands of drivers and listened to numerous complaints before making the moves. Riders will be charged by the minute if they keep an Uber driver waiting for more than two minutes. The time that riders have to cancel a ride to avoid being charged a $5 fee has been reduced from five minutes to two minutes after summoning a driver. These changes are to roll out in August. The company will continue to collect a portion of ride-cancellation fees, as well as a portion of the new waiting-time charges. The move are being made as part of a push to recast itself as a company with a conscience and a heart. Uber is billing its new initiative as “180 days of change” for its U.S. drivers. The expanded earnings opportunities are just the first step in the initiative. Holt declined to describe the plans for the rest of the campaign. Uber has developed a reputation for cutthroat tactics that have outraged its drivers, its riders and its own employees. More damage has been done to Uber’s reputation in recent months after revelations of sexual harassment in its offices, an investigation into its efforts to mislead government regulators, and allegations of the theft of trade secrets. 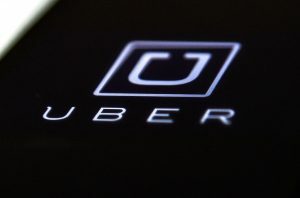 Uber recently fired more than 20 employees after an internal investigation uncovered multiple instances of sexual harassment, bullying and other outlandish behavior within the company. The U.S. Justice Department is investigating Uber’s usage of phony software designed to throw regulators off its tracks. Uber also is fighting allegations that it stole technology from Google’s spin-off Waymo to build a fleet of self-driving cars. The widespread publicity about the company’s bad behavior gives drivers and riders an incentive to switch to Lyft instead.